Over the coming months, you will consider candidates to become the next director of the Federal Housing Finance Agency (FHFA). 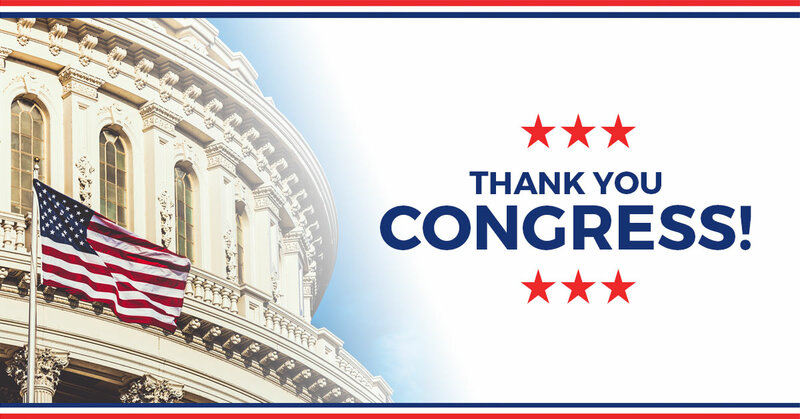 On behalf of the millions of members and supporters of Citizens Against Government Waste (CAGW) and the National Taxpayers Union (NTU), we urge you to consider candidates who will protect taxpayers, stop mission creep by Fannie Mae and Freddie Mac, and work with Congress to find an exit from conservatorship for these two government-sponsored enterprises (GSEs). As you may remember, CAGW and NTU have followed GSE issues for several decades, and have proposed numerous reforms. Fannie Mae and Freddie Mac have become the primary buyers in the secondary mortgage market, financing nearly 90 percent of all U.S. mortgages. Since being placed into conservatorship in 2008, the GSEs have received more than $190 billion from taxpayers, including a $3.7 billion request on February 15, 2018. An August 7, 2018 FHFA stress test report found that the GSEs could require up to $78 billion in new bailout money if there is another severe global recession. Under conservatorship, taxpayers are on the hook for $5.3 trillion in mortgage obligations from the GSEs. Another blatant example of charter creep involves Freddie Mac’s Integrated Mortgage Insurance and Fannie Mae’s Enterprise-Paid Mortgage Insurance pilot programs, which unfairly give preference to some lenders over others who sell low down payment mortgages to the GSEs. These pilot programs allow Freddie Mac and Fannie Mae to intrude into the private-sector mortgage insurance market and dictate decisions typically made by the lenders themselves. Fannie and Freddie announced on August 21, 2018 that they would conclude their single-family rental pilot programs, belatedly recognizing that the private sector has had no trouble backing the purchasing of such homes without government intervention. This is exactly the type of unnecessary dabbling that the FHFA regulator should have put a stop to before it got off the ground. At the same time, an Inspector General investigation criticized FHFA officials for inadequate supervision of Fannie Mae’s lavish spending on a new headquarters. Should Director Watt resign before his term has expired, the appointment of an interim director from within the very same FHFA team that has helped to carry out his agenda, could prove very costly to taxpayers. In too many cases Director Watt has allowed the GSEs to live by a simple message: Anything that is not explicitly prohibited, is permitted. Thus, we support the President exercising his authority within the Vacancies Act to place an interim director from outside the agency, someone who does not arrive on day one carrying the experience of a term too often characterized by insouciant oversight. The next FHFA director, whether interim or permanent, must seek a shift away from this notion and put Fannie and Freddie back on a path toward their original goal of stabilizing the secondary mortgage market. On May 1, 2018, Treasury Secretary Steven Mnuchin said that he was determined to “fix the GSEs” and that leaving them in conservatorship indefinitely was not a constructive solution. If such a fix is to be found soon, taxpayers cannot afford an FHFA regulator who allows the tail to wag the dog. He or she must be willing and able to prevent any further expansion of the GSEs, resist changes to their business and risk-management models that could create more headaches for taxpayers, and vigorously advocate for cooperation among both branches on finding a pathway out of the GSEs’ decade in conservatorship. On behalf of the taxpayers, CAGW and NTU thank you for your consideration of our concerns and recommendations.